Coming home after a long day at work, there is nothing better than soaking in a hot bubble bath and letting all of your stresses and worries melt away. Whether you have ten minutes or an hour, a bubble bath is one of the best ways to unwind after a busy day (even if your bath tub is a chipped ceramic nightmare, like mine). There is nothing wrong with wanting to treat yourself like the goddess you are, and sometimes we have to work with what we can get – take that half hour to pamper yourself, complete with candles, a luscious bubble bath, and your favourite soundtrack for a relaxing evening. And if that bubble bath is the only time you can fit in your busy schedule to take care of yourself (sometimes it’s the closest thing I’ll get to a shower in days) take full advantage and make your yummy bath scents linger for the rest of the evening! Especially if you have big plans that night, choosing a bubble bath with a rich scent that will stay on your skin for hours after is essential. Getting a waft of the dreamy scent you just relaxed in after the fact is so comforting, and a little reminder to slow down, relax, and take everything in. As a self-proclaimed bubble bath connoisseur, I have tried every bubble bath, foaming bath, and bath milk on the shelves, so I’ve picked five of my favourites from Sephora for you to try at home! 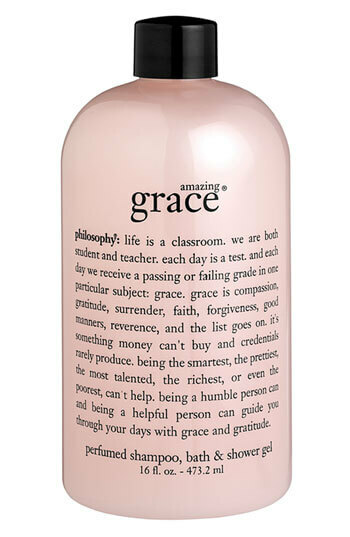 Perfect for the girliest of girls, the Amazing Grace scent by Philosophy is soft, floral, and musky. This three-in-one product is perfect for the woman on the go, who wants to relax but doesn’t have the most time. Layering this bubble bath with the body lotion after you leave the tub will make the scent last even longer, and will make every woman feel light and feminine. If you want to escape whilst indulging in your bath, try this Laura Mercier bubble bath that will transport you to Paris as your body is nourished by Celeste figs, apricot nectar, and ylang ylang. This bubble bath is soft and creamy with hints of earthiness and fruitiness, that will leave your skin moisturized and fresh. Best-suited for the energy-craving woman, this Bliss bubble bath is infused with the strong scent of grapefruit and the moisturizing effects of aloe. If you’re looking for a pick-me-up from your bubble bath, this two-in-one will leave your skin tingling with a fresh, citrusy scent that will last all evening. 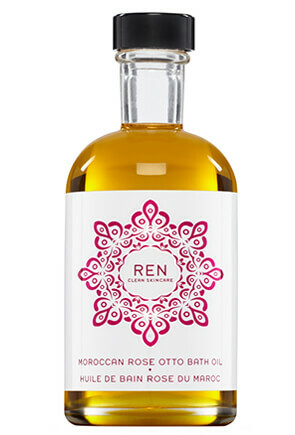 If stress is an issue for you, let yourself indulge in Ren’s bath oil that will leave your skin smelling like a fresh bouquet of roses. This bath oil is known for stress relief as well as leaving skin moisturized and soft, so take a moment for yourself after an especially busy day to relax in the tranquil luxury of this bath oil (while pretending you’re laying in the Moroccan desert hot springs). My love of all things French is quite apparent here, as the Carven bath and shower gel is one of my favourite bath products yet. Hints of mandarin blossoms, white hyacinths, jasmine, and ylang ylang will fill your tub while you soak, but after you leave the bath your skin will smell of white sandalwood, reminiscent of a woodsy campfire in the summer. 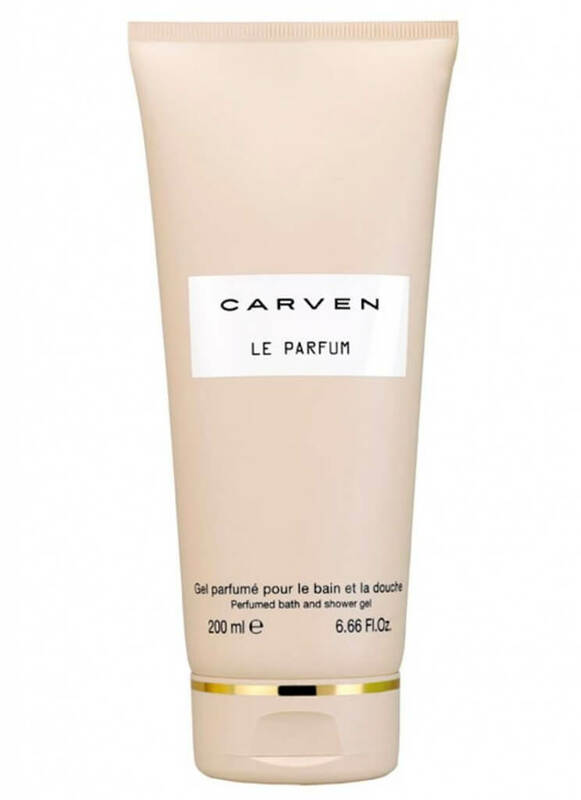 If you are looking to intensify the scent into the evening, layer with Carven’s Le Parfum to make this delicious scent carry on all night long.